A few weeks ago, I was talking with my brother about a needs assessment survey his company is doing. The company wanted to ensure that vulnerable and at-risk populations were accurately represented in the results of this needs assessment survey. However, there was some disagreement over what groups of people were considered vulnerable or at-risk. He felt that LGBTQ individuals should be considered vulnerable or at-risk. I thought he made an interesting point, so I wanted to see how vulnerable and at-risk populations are typically defined, and if they represent the same or different groups. I chose to look at these definitions through the lens of health. The World Health Organization defines vulnerable as “… the degree to which a population, individual or organization is unable to anticipate, cope with, resist and recover from the impacts of disasters.” Under this definition, WHO considers the following groups to be vulnerable: children, pregnant women, elderly people, malnourished people, and people who are ill or immunocompromised. While that provides a great starting point for a definition, I also wanted to find one that is a bit more US-centric, just to cover my bases. 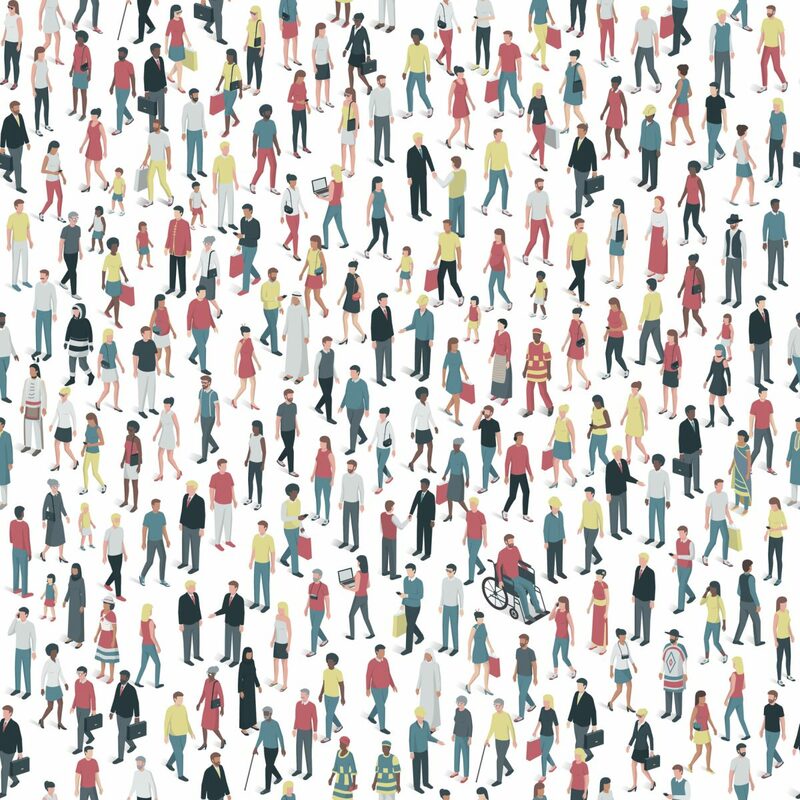 The Centers for Disease Control and Prevention (CDC) states that vulnerable populations may include anyone who has difficulty communicating, has difficulty accessing medical care, may need help maintaining independence, requires constant supervision, or may need help accessing transportation. Cutting across both the WHO definition and the CDC’s outline for vulnerable populations, I found a great, if possibly outdated, article from the American Journal of Managed Care that separates vulnerable populations into three health domains: physical, psychological, and social. “The health domains of vulnerable populations can be divided into 3 categories: physical, psychological, and social. Those with physical needs include high-risk mothers and infants, the chronically ill and disabled, and persons living with HIV/acquired immunodeficiency syndrome. Chronic medical conditions include respiratory diseases, diabetes, hypertension, dyslipidemia, and heart disease. In the psychological domain, vulnerable populations include those with chronic mental conditions, such as schizophrenia, bipolar disorder, major depression, and attention-deficit/hyperactivity disorder, as well as those with a history of alcohol and/or substance abuse and those who are suicidal or prone to homelessness. As far as I can tell, the difference between vulnerable populations and at-risk populations is blurry. For example, the US Department of Health and Human Service’s At-Risk, Behavioral Health, and Community Resilience Division provides a definition of at-risk that is very similar to WHO’s definition of vulnerable. They state that at-risk individuals “…are people with access and functional needs that may interfere with their ability to access or receive medical care before, during, or after a disaster or emergency.” Further, they define at-risk individuals as children, older adults, pregnant women, and individuals who may need additional response assistance. Healthy People 2020 focuses on social determinants of health as a way of identifying people at risk of poorer health outcomes. They group these determinants into five categories: economic stability, education, social and community context, health and health care, and neighborhood and built environment. Anyone facing a more challenging environment may be considered more at risk than another population, but this too requires judgment. Overall, there is a significant gray area when trying to identify a vulnerable population or an at-risk population. For the purpose of a needs assessment, it is up to the organization conducting the assessment to determine if they also want to consider groups that experience disparities. Ultimately, I would argue that it depends on the goals outlined for the needs assessment itself. Additionally, one should consider the community in which the needs assessment is taking place, as different populations may find themselves to fall under the vulnerable, at-risk or even disparities definitions in different communities.